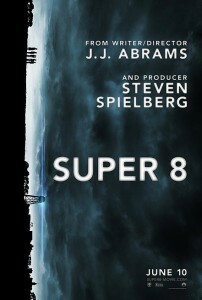 When this year started, Super 8 was the upcoming movie I was most excited about. J.J. Abrams + Steven Spielberg = monsters? Sign me up. And while it may not have been the landmark film experience I was hoping for, it was still probably the most entertaining adventure movie I’ve seen this year, and a much-needed throwback to the films of my youth. Super 8 is the story of a group of children gamely trying to make a zombie movie in Ohio, circa 1979. Roll credits, we’re done. But in case you need a little more action in your action movies, there’s plenty of other stuff too, with evil governments, mysterious monsters (which in the interest of not spoiling anything for anyone, I’ll just refer to from now on as The Palin), and plenty of daddy issues all making strong cameos in the film. But at its heart Super 8 is about a group of young friends. I realize that sounds about as boring as listening to the sun shine, but that’s what it’s about. As are the movies it’s trying to emulate. You see, Super 8 isn’t a movie, as much as it is a movie that’s in love with other movies; namely Goonies, Stand By Me, Gremlins, Close Encounters, and E.T. In fact, it loves E.T. so much it wants to have its baby. The one thing that four of those movies have in common, is a focus on how strong the relationships of youth are. The guy you play hockey with after school? He’s not your friend, he’s your BEST friend. The girl you have a crush on at school? You don’t just like her, she makes your heart literally hurt every time you see her. Youth is not for the emotionally timid, and those films knew it. And Super 8 knows it too. First of all, let’s discuss the cast. Cast is usually the last thing I talk about; not that I feel that cast isn’t important, but I do feel that it’s given far too much importance these days. But in Super 8 our group of young heroes aren’t just important, they’re the whole damn movie. Joel Courtney deserves an Oscar nomination for his portrayal of Elliot. Well, he actually plays Joe Lamb, but his physical similarities to Henry Thomas are only the first of the many nods to E.T. that can be found here. Courtney isn’t just playing the lead here, he’s playing the hero. A quiet, introverted hero who can barely talk to girls maybe, but a true movie hero nonetheless. And not only does Courtney lead his cast, but he’s also leading us. It’s not Elle Fanning’s charms we’re convinced by, it’s Courtney’s bashful smile every time she enters a room. It’s not the monster that scares us, it’s Courtney’s utter terror at the possibility that his friends may be hurt. Not to say that Fanning isn’t phenomenal. She is. But her role is slightly easier than Courtney’s in this film. She plays THE GIRL. You know who I’m talking about. She’s the one that is ALWAYS in movies like this, in that she’s not who the movie is about, but acts as the love interest for the hero, and therefore seems to be in every scene. There’s a bit of a spin here, in that it’s not just THE GIRL, but that it’s THE FIRST GIRL. The one that you fell in love whole heartedly in junior high school but now look at pictures at and wonder, “umm…her?” Now, Fanning plays THE GIRL with much more breadth than the role usually calls for, and I think that J.J. Abrams deserves a lot of credit for writing THE GIRL with quite a bit more depth than the character usually gets in these types of movies. Let’s talk about the script, since its the real star of the film. But like much of Abrams work, so much is riding on it that when it does come up short, there isn’t much else in the film that can maintain it’s momentum. Abrams has taken the barbs thrown at Lost and Cloverfield to heart, and made sure that we (eventually) are given as much information about The Palin that we can handle. In fact, we learn so much about The Palin that I was half expecting it to recite its name and serial number. And so we get to one of the few real criticisms I have about the film, though it’s one that very few people would agree with me about. For me, the second that this movie stopped being GREAT, and got busted down to just VERY GOOD was the exact second that we started to see The Palin in detail. The minute The Palin stopped being a mysterious, unknown threat, and started becoming a tangible, physical beast, was the minute that some of the wonder of the film was lost. Don’t get me wrong; The Palin is a great monster. It has many legs, a horrifying face, and strongly believes that allowing gay people to get married will destroy America in much the same way that it’s completely annihilated South Africa, Sweden, Belgium, Portugal, Spain, Norway, Argentina, Iceland, and especially Canada. Poor Canada. But a big part of the adventure of the film is the mystery of what is happening to this small town, and once that mystery is lost, so too, is some of the fun. But it’s not a decision I can critique too harshly. Abrams has come under fire as of late for the lack of exposition in some of his projects, and so I see why he would feel as if he needed to over share here. Again, my lack of interest in finding out too much about The Palin is a personal gripe, and not one that most people would share. My real problem (though it’s very minor), is that along with knowledge, comes formula. The minute that we find out exactly what The Palin is, is when this movie stops being a raw coming of age story, and transforms into a run-of-the-mill action movie that we’ve seen a hundred times. An extremely well-made run-of-the-mill action movie, but a run-of-the-mill action movie nonetheless. All in all, there isn’t much to really complain about. While some might Super 8s overt homage to adventure films of the 1980s to be overly cloying, I found it to be charming. It’s an exciting film, and on that’s full of drama, powerful though simplistic emotions, and great adventure. It’s also easily the best film of the summer thus far. P.S. I get bonus points for the being the ONLY review of this movie that didn’t use the term “Spielbergian”. This entry was posted in Movies and tagged J.J. Abrams, Steven Spielberg, Super 8. Bookmark the permalink.